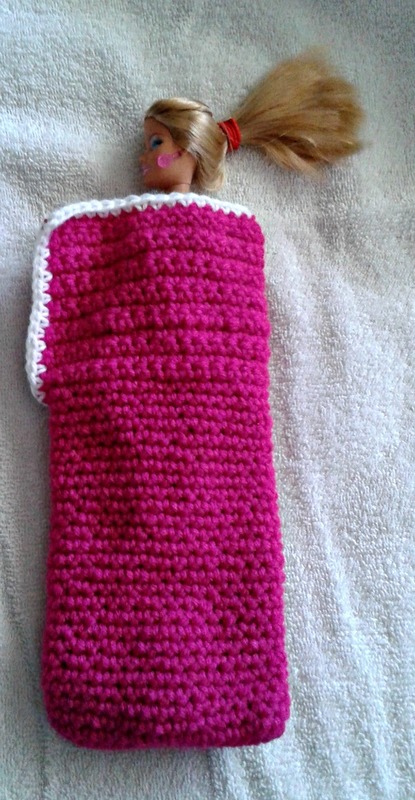 Created the pattern and crocheted up this for my niece’s new Barbie doll she got for her birthday…. First will start out doing rows, then switches to rounds. Round 1: Working in the round or the opposite side of the chain. (Working around the corner and into the bottom side of the starting chain row) 1 single crochet in each stitch across and 3 single crochet in last stitch. Round 4-27: Crochet 1 single crochet in each stitch around. Until desired height (mine measures 6 inches tall) Stop crocheting on the side (end). Row 3: Finding the side of your work place a marker just to the stitch next to the side and then another in the one on the opposite side missing a stitch between the two stitch markers. Single crochet into each stitch around from XOX (the X is the 1st stitch marker the O is the missed stitch and the next X the 2nd stitch marker) the O should be in the middle or center of the side where seam would look to be. Finishing edging. 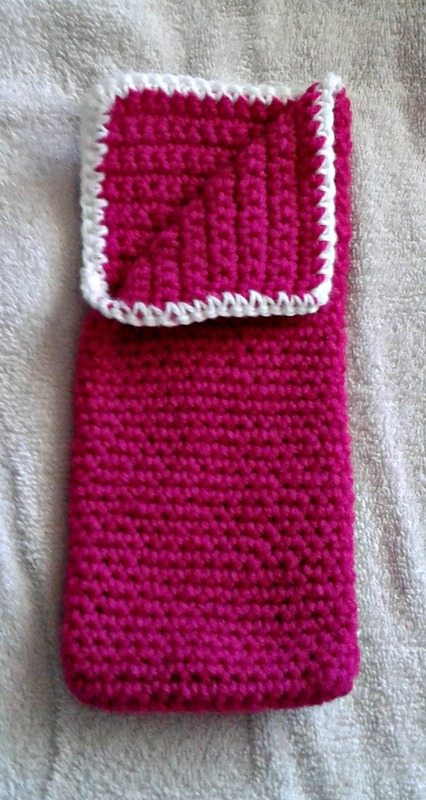 Then using the 2nd color you will start where the O is and work a single crochet stitch all the way around then join and finish off. That is just adorable! I wish I had a little girl (somewhere) to make something like this for.